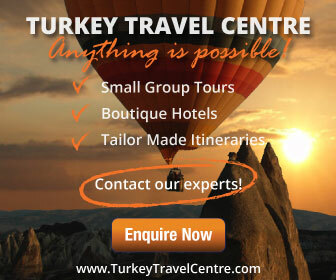 Many historical sites and ancient ruins exist in Turkey. This is not a surprise when we think back over its timeline and the various civilizations, empires, and dynasties that have ruled it. Other countries around the world consider it the hub between east and west but Turkey has its eye on another goal. 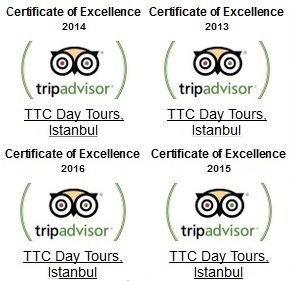 That is to be one of the top visited tourist destinations in the world, and they are using history to get there. One historical project, that has been around for many years but only recently promoted on a massive scale, is the Lycian way trekking route sitting on the Southwest coast. 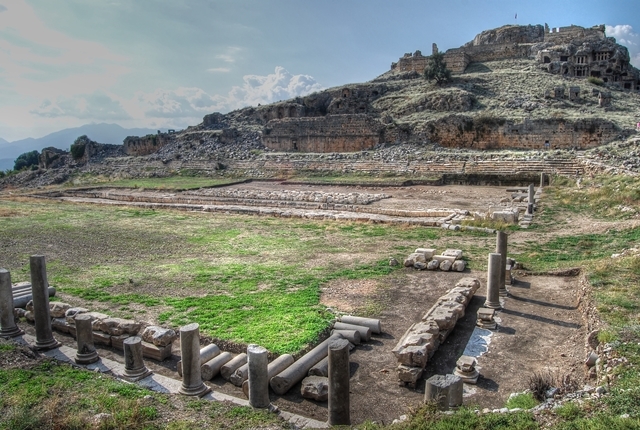 The 561-kilometre trek visits ancient ruins dating from the Lycian period and the city of Tlos is on the map. Reached from all nearby resorts including Patara, Kas, Kalkan, Fethiye, and Olu Deniz, it has a majestic presence and mythological background. Unlike like the ruins of Ephesus or Myra, the amphitheatre is crumbling and worn away but on my visit, I sensed a surreal atmosphere when thinking about its past citizens. Historians estimate occupation began roughly 4000 years ago, and eventually over hundreds of years, it became a major political city in its prime. Mythological stories also tell of a tomb (unreachable in present day) that was home to the winged horse Pegasus. Left in ruins for many years, archaeological work started in 1838 and is continuing to this day. In 2011, archaeologists were extremely excited over the find of five statues of Roman emperors. My original plan was to use public transport to reach Tlos, but while looking at brochures of local tour excursion providers; it seemed easier and cheaper to book with them. Tlos was the third stop on a trek and as I disembarked from the bus, I stared up at the large hill and wondered if a hard-core smoker like me could ever reach the top. Deciding to take it easy, we first explored ruins of the old city, which included a market place, city walls, and public Roman baths that held a magnificent view over the landscape of the surrounding Xanthos Valley. 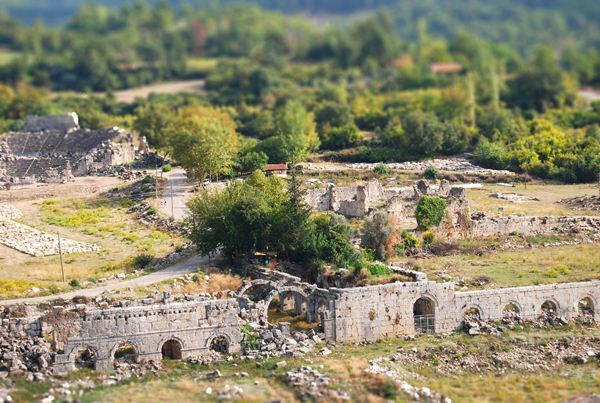 As well as Lycian remains, architecture trends can be seen from the Byzantine, Roman and Ottoman empires so arm yourself with a good guide book or travel with a knowledgeable friend. From there, the path became strenuous as we attempted to walk the uphill path to the stone fortress. 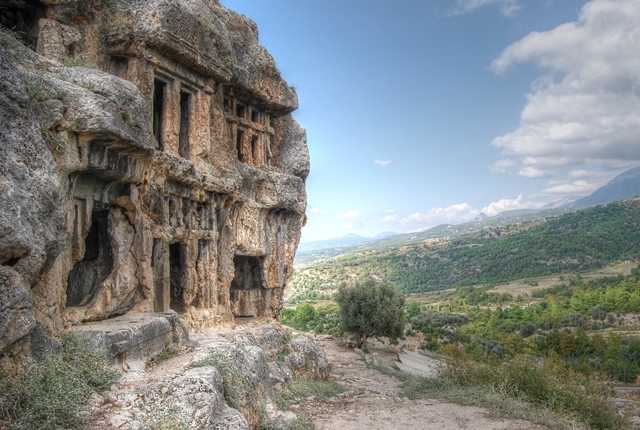 I never made it, and instead stopped at the Lycian tombs, which were a resting place for royalty and the rich. They were buried with gold and jewellery, that to no surprise was eventually stolen but the importance of the tombs was in their high position. This made it easier for the winged creature that carried Lycians to the after world to reach the occupants. When you do make it to Tlos, walk uphill to the tombs, and spend a few moments looking over the surrounding countryside. Then think about the previous people buried inside. The feeling is strongly nostalgic and one that creates an inspiring aura to Tlos.